Trail Effect: Will do laps of Grouse Grind for charity! I don't ask for much, in fact I hardly ever ask for anything at all. But this time I'm asking you - no I'm begging you to help me help the Golder Trust for Orphans. You donate money (small amounts, large amounts, pennies, nickels, quarters, dimes, pocket lint). The more money I raise - the more laps I do. 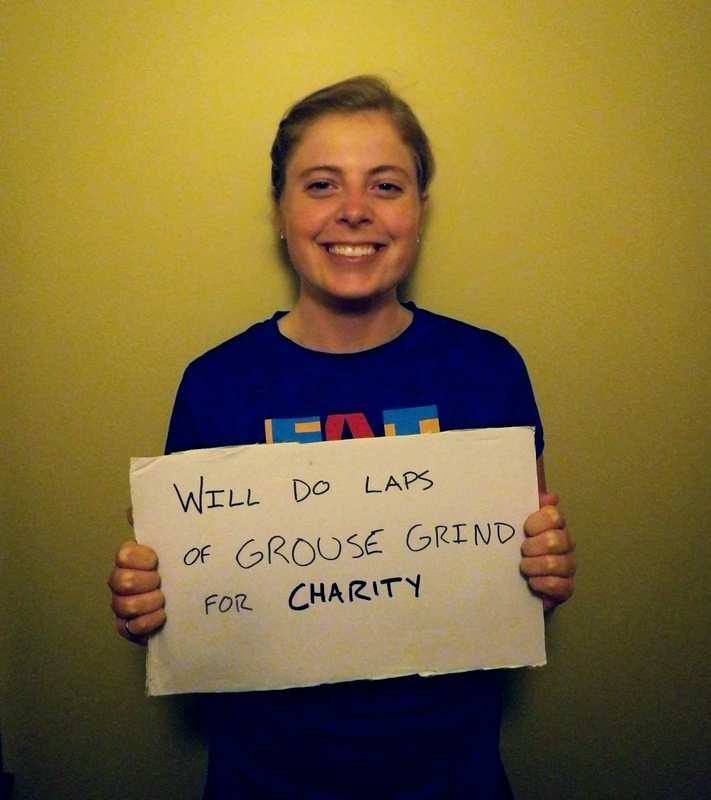 For every additional $50 raised I will do an extra lap of the grind! In all honesty - Take a look at the amazing things the Golder Trust for Orphans does to improve the quality of life of children who have been orphaned or displaced by the AIDS pandemic. The Trust, which is funded mainly by contributions from Golder’s operating companies and Golder staff, provides financial support to NGO’s caring for and counselling families and dependents of people living with HIV/AIDS. The Golder Trust for Orphans supports NGO’s and other organisations of all religions and ethnic groups. The primary focus is in Africa, with a vision to one day support projects all over the world. When you're convinced that your money is going to a great cause, and as a bonus will cause me to endure another lap of the grind (named by Outside magazine as one of the world's most dangerous hikes, might I add) then donate, donate, donate! And pass it on!